Trueman's Hill is an earth and timber motte and bailey castle that was likely never fortified in stone. 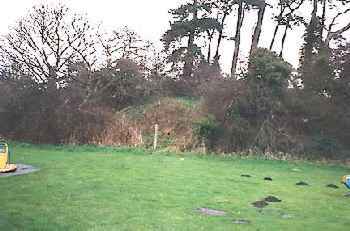 The site consists of a dense, tree-clad motte, a section of damaged ditch, and a portion of the rampart which originally surrounded the bailey. There is no recorded history for this castle, although its proximity to Ewloe (2 miles) and Hawarden (1 mile) presents the possibility that Trueman's Hill might be somehow related to one of these castles.